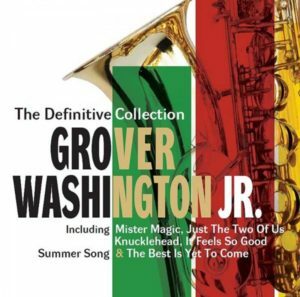 I was introduced to Grover Washington JR. like many I suspect from my generation who first heard the classic break from the equally classic Mister Magic, albeit sampled on a Hip-Hop record. Some years later and this excellent compilation of the range and diversity that the artist has to offer becomes all the more apparent. Opening this double CD selection is his fiery cover of Inner City Blues – perhaps all the more incendiary, even minus the vocal. The music then blows between the smoother more melodic sounds of No Tears In The End through to the tougher street funk of Knucklehead. Also included are ‘featured on’ tracks such as Idris Muhammad’s beautiful Loran’s Dance, as well as Bill Withers ‘Just The Two Of Us’, plus the sublime Asphalt Canyon Blues recorded with Kenny Burrell for Blue Note. Do read Charles Waring’s sleeve notes too and you won’t miss a beat.